During an 8 week period, works were undertaken to construct a new platform extension, relocate an OLE mast and install additional lighting and upgrades to the LLPA and CCTV systems. North Berwick railway station serves the town of North Berwick in East Lothian, Scotland. It is the terminus of the Edinburgh to North Berwick line, 22 miles east of Edinburgh Waverley. Works were carried out over an 8 week programme utilising ROTR possessions and isolations to construct a new platform wall, install a new lighting column, replace existing OLE mast and upgrade LLPA and CCTV systems. The scope of works were to extend the existing platform towards Edinburgh by 22m in order to accommodate longer six car rolling stock. Demolish ramp and foundation and construct a new platform extension from the top of the ramp. Installation of an additional lighting column. CCTV and LLPA systems upgraded. Existing OLE mast relocated to other side of track and existing sandstone copes replaced with new concrete copes. Re-surfacing of platform with tactile studs installed throughout. Prior to the works commencing, a public information leaflet was produced detailing the works, the reasons for doing them, and details of the site layout including how much of the car park would be utilised for the compound. The leaflet contained a Q&A section at the end which answered the questions we anticipated most people asking in relation to the works and the fact they were being carried out at night. This leaflet helped minimise the impact of our presence as the surrounding residents and station users knew when we would be there, why and for how long. 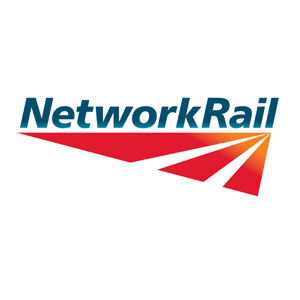 This collaborative approach that was adopted by Story and Network Rail ensured that all key stakeholders were bought into the requirement for the station upgrade. During the works an uncharted water sewer was discovered in the location of the new mast foundation. This had potential to cause significant delay to the 8 week programme. However we were able to celebrate success by working collaboratively with the designer and OLE subcontractor and quickly formulate a new design to divert the culvert around the foundation. This allowed us to hand the project over on time.